On 26 March the FCA published Mortgages Market Study: Final Report (MS16/2.3). The final report focuses on first-charge residential mortgages and considers whether there is healthy competition in the mortgage market and contains an update on remedies. The FCA had previously published its interim report (MS16/2.2) and the terms of reference (MS16/2.1). Alongside the Final Report, FCA has published CP19/14 “Mortgage customers: proposed changes to responsible lending rules and guidance”. Switching freely without undue barriers. The FCA’s research has found that, while consumers usually find a mortgage that is suitable and affordable, many miss out on finding a cheaper mortgage that is just as suitable. The FCA estimates that around 30% of consumers in 2015-2016 could have found a cheaper mortgage with the same key features, which would save the average consumer around £550 per year. In response the FCA has set up a working group of representatives from intermediary and lender trade bodies. It has explored whether and how lenders could increase the amount of information available for consumers or use new tools that allow intermediaries to more readily identify the products a consumer is likely to qualify for. The FCA notes resistance to regulatory intervention in this area and therefore prefers a market-led solution. The FCA will therefore continue to monitor the development of innovative tools for consumers, expecting to see tangible outputs from firms, and seek input from its working group to identify barriers to lender participation. FCA action will also be considered and whether making rules or using its ability to convene will be beneficial to consumers. The FCA will provide an update when sufficient progress has been made. The FCA wants consumers to have more choice about the support they receive in respect of their mortgages. The final report outlines that some consumers are being channelled unnecessarily into advice. It is also observed that there has been limited consumer-facing innovation in mortgage distribution; for example, it is not usually possible to complete a mortgage transaction online. Lenders and intermediaries have provided feedback on this and said that this is partly due to the FCA’s advice rules and guidance. The FCA will consult on possible changes to its advice rules and guidance in the second quarter of 2019. The final report outlines that a consumer’s choice of intermediary can have a significant effect on the cost of borrowing (up to £400 a year during the introductory period of a mortgage). However, finding the right intermediary can be a challenge. In response the FCA has set up a working group of consumer organisations and both lender and intermediary trade bodies. The FCA’s preferred approach is for the Single Financial Guidance Body (SFGB) to extend and develop its existing retirement adviser directory (under the Money Advice Service brand). SFGB has indicated that many consumers are seeking mortgage information and advice through its contact centre and website. The final report outlines that 800,000 consumers are paying a high reversion rate and are not switching to a cheaper mortgage which is available to them. This is costing consumers on average around £1,000 during the mortgage’s introductory rate period. The FCA’s interim report suggested that it may intervene to make it easier for less active consumers to switch. The FCA is now undertaking further research into understanding the characteristics of consumers who do not switch and will provide an update later this year on potential remedies. The final report also considered consumers who have relatively high reversion rates who are unable to switch to a cheaper mortgage. Some consumers in this bracket cannot change to a cheaper mortgage because a change in circumstances mean they no longer pass lenders’ affordability tests. The FCA refers to these consumers as “mortgage prisoners”. The FCA intends to make switching easier for consumers who are up to date with payments and not seeking to borrow more. The final report notes that lender trade bodies have created a voluntary agreement with over 65 active lenders (representing around 95% of the market). This agreement allows lenders’ customers, provided they are up to date with payments, to switch internally without an affordability assessment (subject to meeting certain criteria). The FCA also wishes to assist consumers who have mortgages with inactive firms. However, active lenders have indicated that regulatory barriers may prevent them from doing so. The final report refers to the detailed proposals set out in CP19/14. 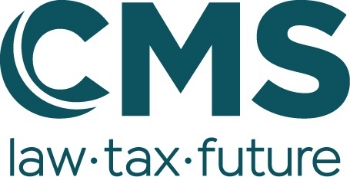 One of the key changes proposed is that inactive lenders and administrators acting for unregulated entities will be required to review their customer books to identify potentially eligible customers and communicate with them to outline the rule change and direct them to sources of information. In addition, the FCA has proposed a modified affordability assessment so that mortgage lenders cannot enter into a new regulated mortgage contract with a customer unless they are able to demonstrate that the new mortgage is more affordable than their present one. In many of the above areas that it has highlighted as needing improvement, the FCA is still monitoring the market and gathering research to provide updates later this year. In the second quarter of 2019, the FCA will consult on proposals on changing mortgage advice rules and guidance to help remove potential barriers to innovation. In addition, the CP19/14 consultation on the proposed changes to responsible lending rules is open until 26 June 2019.